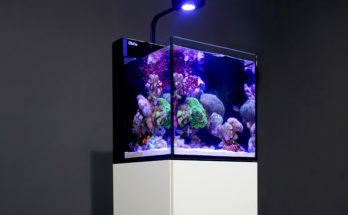 Introducing AQUATOP’s Recife ECO All-in-One reef aquarium systems. 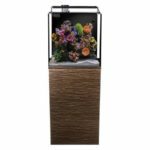 These aquarium kits include all the necessary accessories to provide an ideal habitat for marine fish and corals. 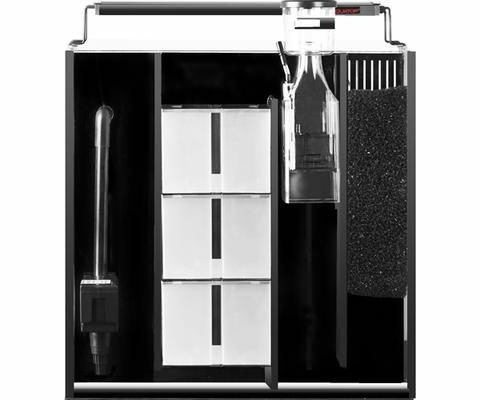 The Recife ECO series utilizes a Multi-stage Filter Box system for a simple and effective way to hide the filtration components for optimal, unobstructed viewing of your aquatic environment. In addition to the included dense sponge filter block, each media tray contains specially enhanced filtration media for Mechanical, Chemical & Biological filtration. The top tray includes our premium carbon infused media for removing discoloration, odors & harmful dissolved organics from the water column. The second tray contains our specialized Phosphate & Nitrate Removing Media which removes unwanted Phosphates and Nitrates from the system. While the remaining tray(s) are filled with our premium biological filtration media providing a large surface area for beneficial bacteria to colonize and break down toxic Ammonia and Nitrite. 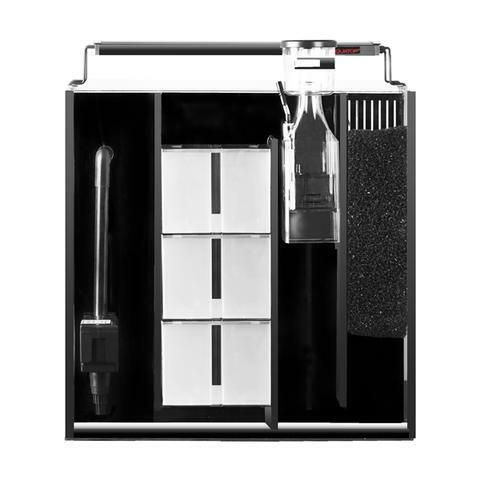 Also included is a reef ready LED light, a custom nano protein skimmer, a submersible pump and a matching cabinet stand. Available in Black, Dark Zebra Wood Brown, or White. Suggested additional equipment: 100-200 watt heater. Also available in other sizes. Next Article It’s Here! Online Shopping at Aquatica!